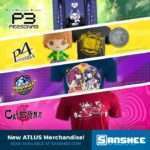 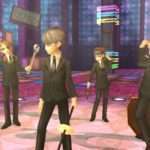 Earlier this month, Sanshee—a “fan culture merchandising company”—announced that they would be collaborating with Atlus USA to sell a merchandise line for Persona 3, Persona 4 and Catherine. 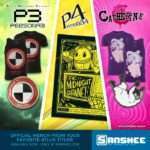 Sanshee has now announced that the products will be available through their official website starting on August 2, 2016. 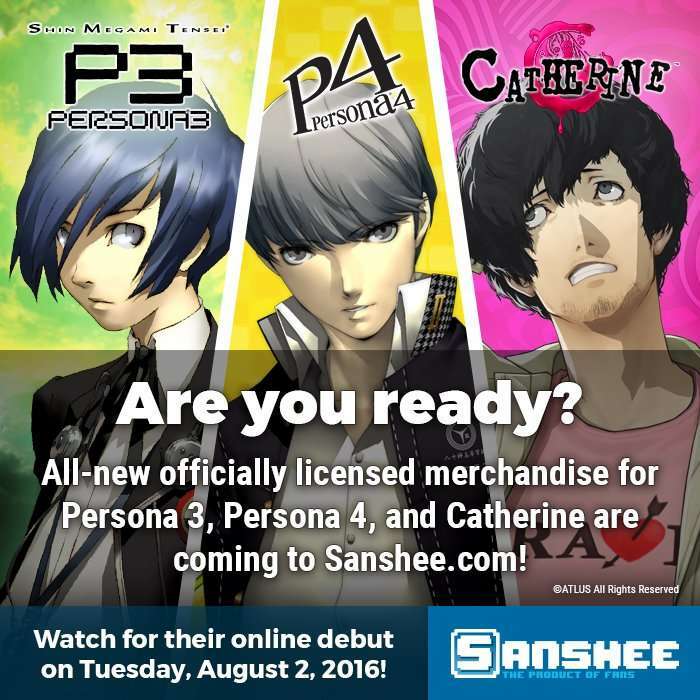 The merchandise made its debut during the Anime Expo 2016 weekend, which went from July 1-4, 2016. 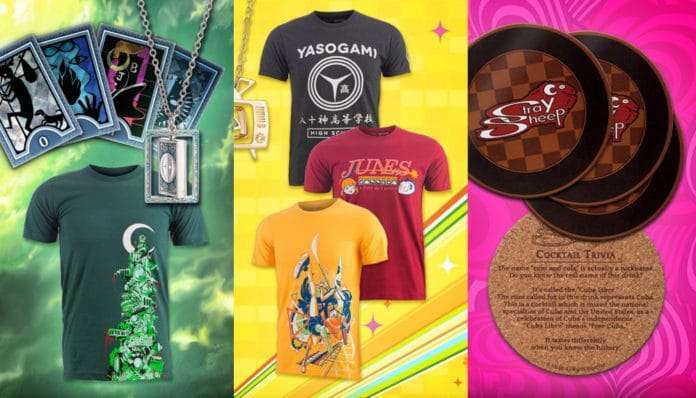 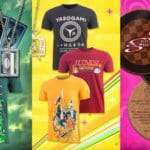 This collaboration is similar to the Insert Coin produced Persona 4 Golden clothing range which was announced in May 2015.